CMO Bowmen has been in existence since 1961 shooting target archery with recurve, barebow, compound and other traditional archery equipment. Our members are of mixed ability, from beginner to County standard. Through the ArcheryGB ontarget programme we are working hard to grow the sport of Archery at grass roots level. We take pride in the fact that we are an open and friendly club who gives a warm welcome to members and new archers from all areas of the community. We make it as easy as we can for people to enquire and to quickly attend training courses and taster sessions run by fully qualified and DBS/CRB checked coaches. See the BEGINNERS menu for dates and details and book your place now! To book your Taster Session or Beginner's Course, head to the Beginners section of our website by clicking the button below. CMO have entered this year's OnTarget Club Competition as current holders of the title in a year which sees a new, more inclusive format. 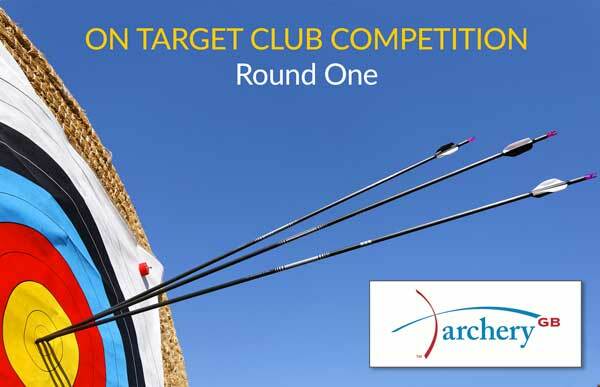 A little while ago AGB asked participants what improvements might be made to the tournament and we suggested adding Longbow and Barebow archers to encourage more of a club-wide participation. 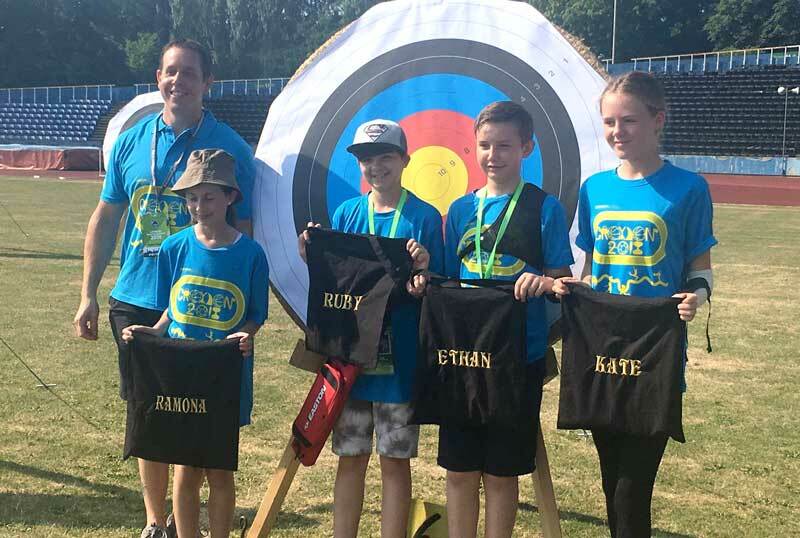 We are pleased to see that this is exactly what they have done for this year, with a team now consisting of six archers; 2 x recurve, 2 x compound, 1 x longbow and 1 x barebow. The team must also consist of no more than three of a single gender, providing much more of a mix as opposed to previous years. 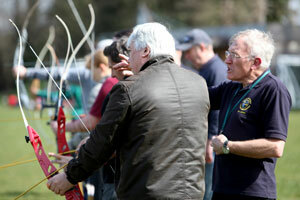 Archers must be 14 years or older, so juniors are also welcome to take part. Round One will take place in April 2019 and the OnTarget Match consists of three rounds of two-dozen arrows shot at 50m onto an 80cm face, metric scoring. We will again be holding tryouts so that members can practice the round and put their names down for the squad for this year. We hope that many of you would like to take part, and so we will encourage you to shoot alongside the chosen team on match days so that the whole club can feel part of this competition. 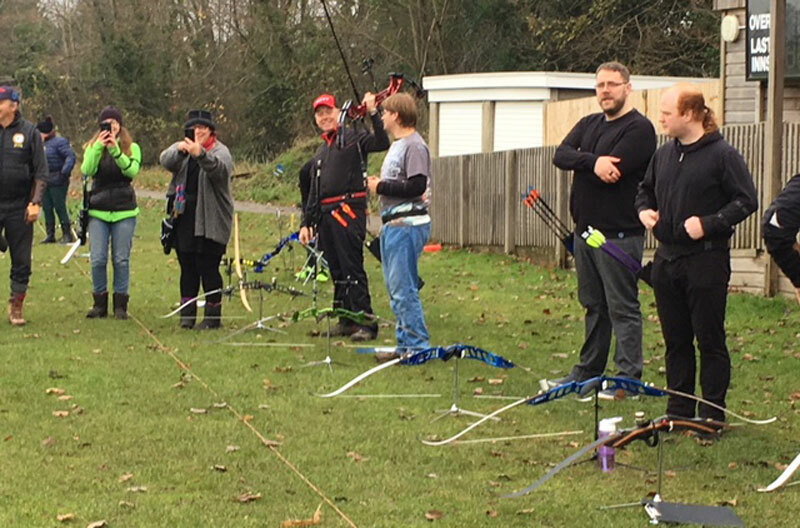 The 24th November saw a band of brave-hearted archers turn up for a new friendly CMO team competition, with the aim to bring members together to shoot in teams and have a bit of fun. In all, twenty took part for the fun and hot soup, which was sorely needed as there was a cold biting wind - fitting that we shot a Frostbite round then! With some late-comers who had to miss out on shooting, it does mean that some are not checking the website to see what’s going on at the club, so we would urge you to do that. Part of the fun was the lottery of the team selection with Andre the bingo caller. There were four teams of five with the compound archers as the captains. Team Martin ended the day as winners of the first competition, despite heavy heckling from all sides, even his own. You can check out some pictures in the Gallery section of the site. This is going to be a regular social event, hopefully once a month throughout the year so keep your eyes on the web calendar and sign up. 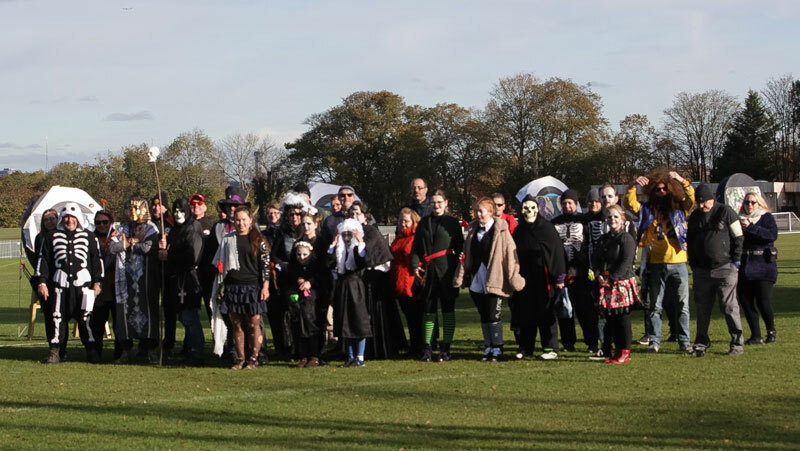 Well done to so many of you for attending our Halloween Fun Shoot this year. Despite the bitter wind making the day colder than the end of a witches nose, around forty of us turned up to shoot ten ends and then into the warm for some hearty soup and stew. Around half came in fancy dress with some very impressive efforts again this year, with prizes awarded to Bridie's scary clown, Steve's,erm, hunchbacked-skull-thing, and Jenny and Simon making the scariest couple. Huge thanks to Andre and Rene for organising, all those who made cakes and food, and Brian for taking some great pics which are in the Gallery now. 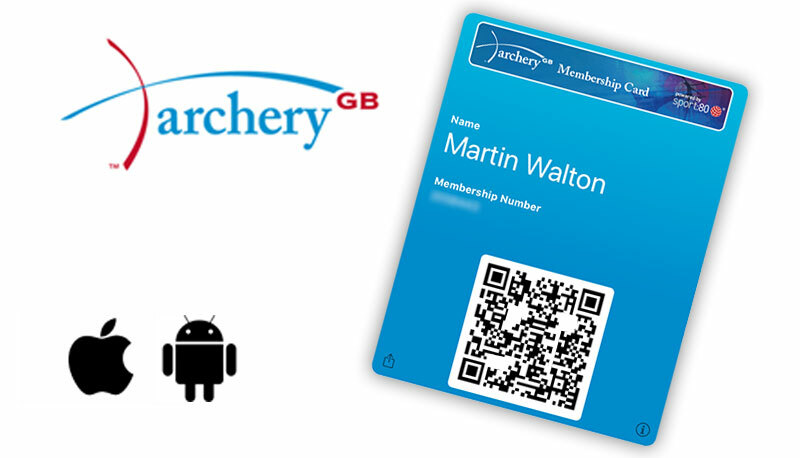 Hopefully members, you should have received an email from Archery GB with information to allow you to download your new membership card, as well as a new physical card, if you have asked for one. You are able to save your new electronic card onto your mobile device using Apple Wallet or whatever Android uses for that sort of thing. You can then just present it on your phone when visiting other clubs or tournaments. If you haven't had either version yet from AGB, please let us know via an email to Paul, our excellent Membership Secretary, who has been hard at work on renewals for us. Pictures are now online in the member's gallery section and results are below. On Sunday 2nd September, CMO sent a team of two recurve and two compound archers to the finals of the Archery GB OnTarget Competition 2018 ... and won! Yulia Larkins, Antony Wood, Andre Labuschagne and Martin Walton travelled to the home of Archery GB in Lilleshall, supported by coach Mike Cale to face two of the other three teams who were left in this knockout competition. The first match was the semi-final against Deer Park Archers who fielded a strong side. CMO won the first round to make it 2-1 in the team against team match. Then came the pairs round in which our recurve team beat that of Deer Park, whilst their compound team beat ours leaving the overall score set at 5-4. After a very tight individual head to head round, CMO edged it by two points to win the match 11-9 and progress to the final. Ruby, Ramona, Kate and Ethan represented Croydon in this year's London Youth Games held at Crystal Palace on Saturday 7th July. Despite the searing heat, our juniors put in a scorching performance, finishing in 10th place which is three places up on last year. Well done to the team and our thanks to Debbie and Neil Mason for all of their hard work organising the Junior Development Programme. Click on the Read More button to see the final standings. 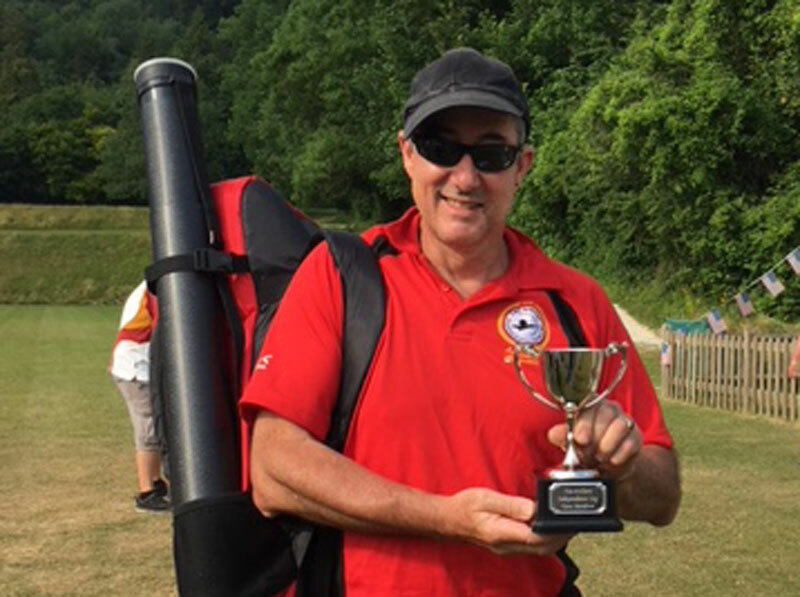 Well done to Steven who travelled to Fox Archers on Sunday 1st July to compete in their Independence Day event, shooting an American (round, not person) and coming away with the Men's Barebow trophy with a score of 535. 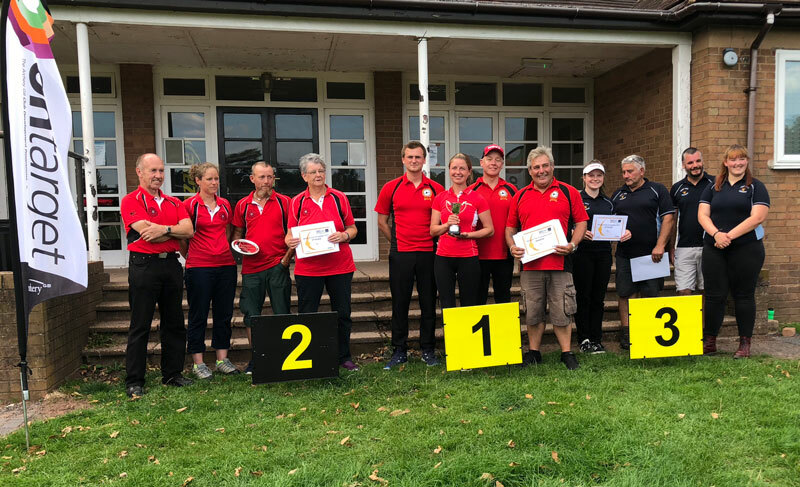 Congratulations again to Yulia Larkins and Antony Wood shooting recurve and Andre Labuschagne and Eric Chan shooting compound for their win against Wallingford Castle Archers at home on Saturday 23rd June. We finished 13-8 winners and progress to the Quarter Finals in July. Don't forget to submit those 50m scores to Antony if you'd like to join the squad.